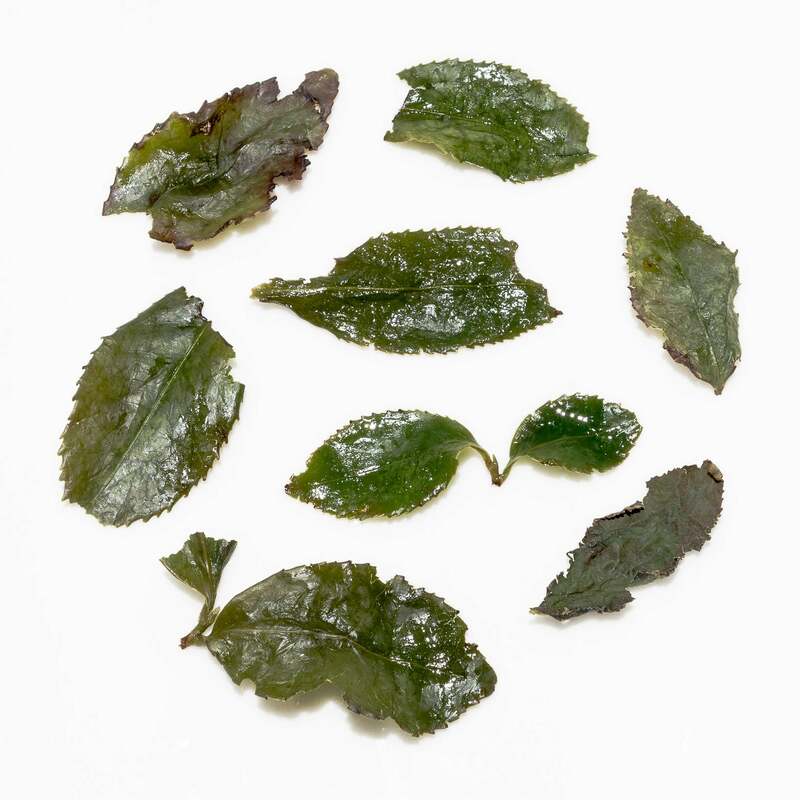 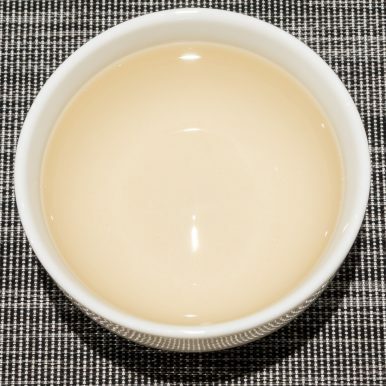 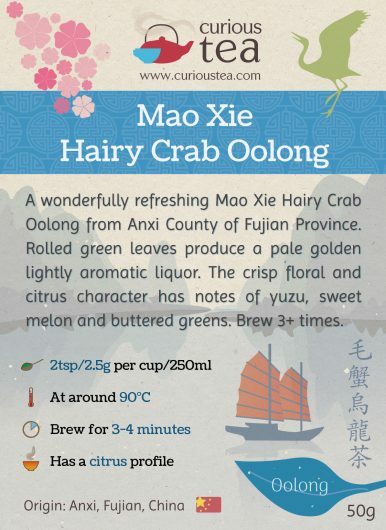 Mao Xie Hairy Crab Oolong is a wonderfully refreshing tea from Anxi County of Fujian Province. 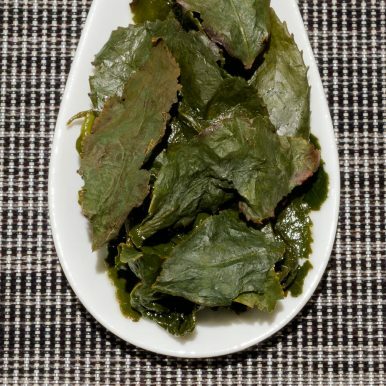 Rolled green leaves produce a pale golden lightly aromatic liquor. The crisp floral and citrus character has notes of yuzu, sweet melon and buttered greens. 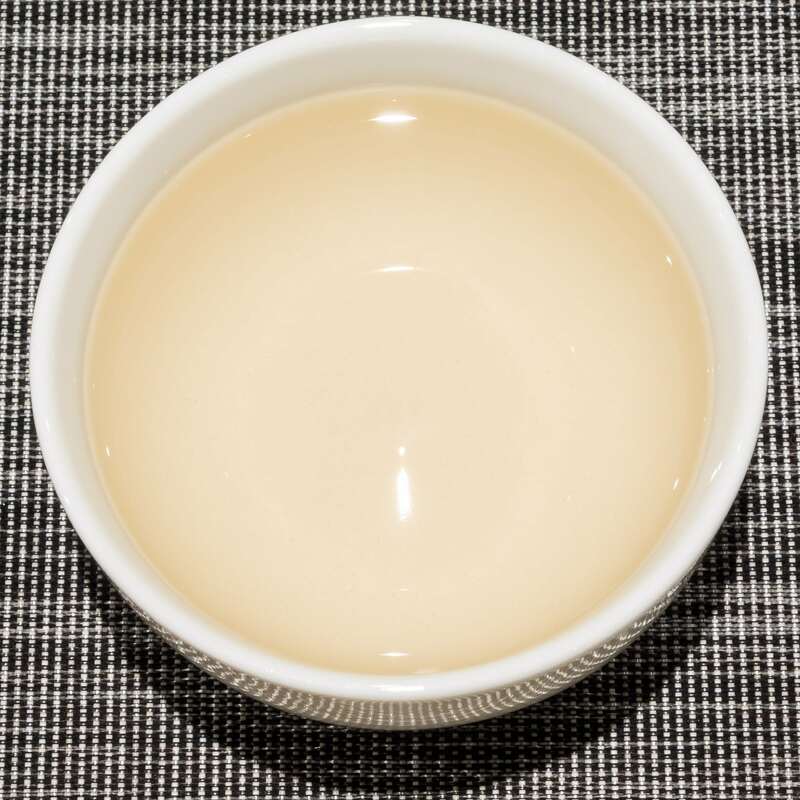 Mao Xie Hairy Crab Oolong (毛蟹烏龍茶) is a rather refreshing light oolong. 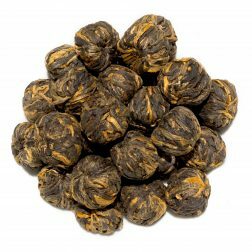 It comes from the famous Anxi County of Fujian Province where it is grown around Gan De Town at an altitude of around 500-700m. 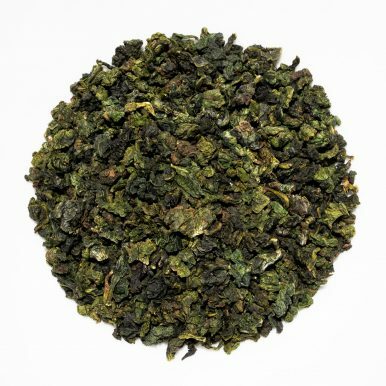 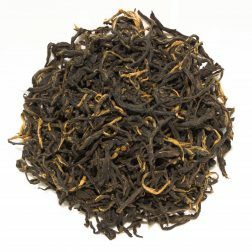 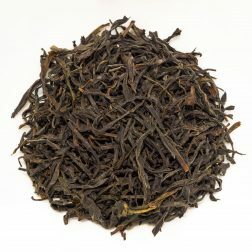 Firmly in the ‘green’ category of oolongs, it has a lovely, lightly floral profile with fresh vegetal and citrus notes. 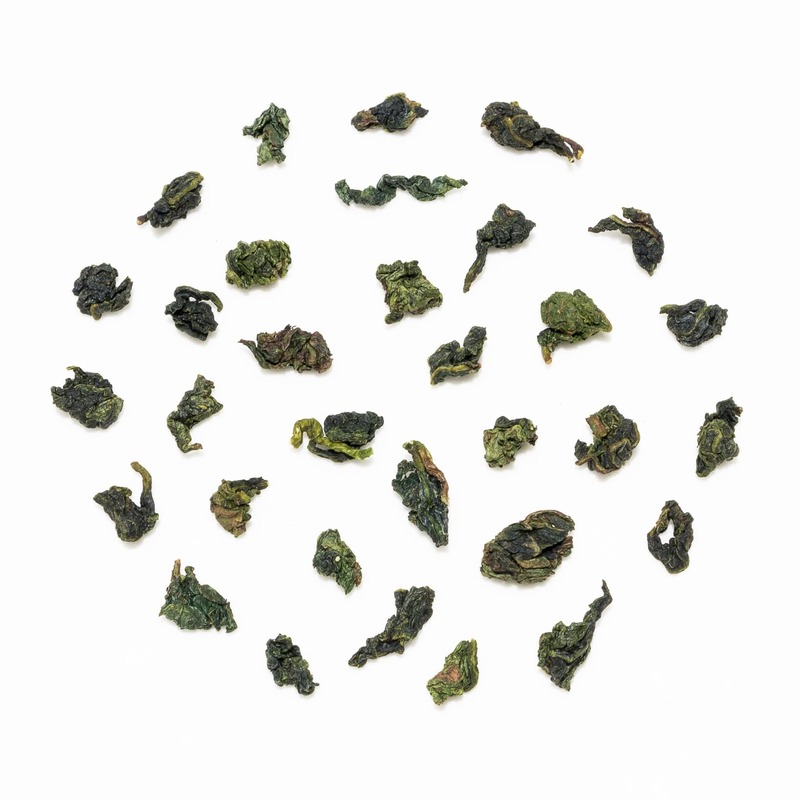 The current crop of Mao Xie Hairy Crab Oolong that we are offering is from Autumn 2017 harvest. 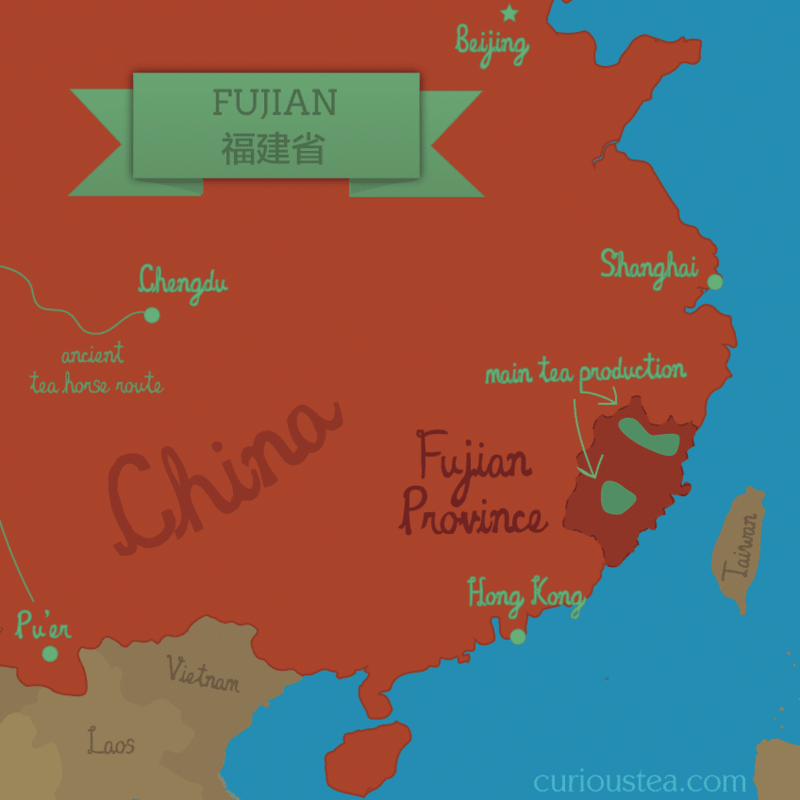 Mao Xie Hairy Crab Oolong tea was first featured in our April 2018 Curious Tea Subscription Boxes.